From 6th january 2017 to 31th december 2020 daily. From 6th March to 12th June 2019 daily. From 1st April to 30th June 2019 daily. From 13th April to 10th June 2019 daily. From 20th to 25th April 2019 daily except Friday from 14:00 to 19:00 and . From 15th to 16th June 2019, Saturday and Sunday. From 6th to 7th July 2019, Saturday and Sunday. From 23th to 25th August 2019, Friday, Saturday and Sunday. From 7th to 8th September 2019, Saturday and Sunday. Tuesday, April 30th, 2019 from 18:00 to 20:00. 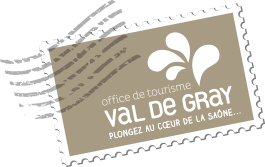 La foire de Gray se déroule tous les deuxièmes mercredis du mois, en été comme en hiver, en ville haute. Friday, May 3rd, 2019 from 20:00. Sunday, May 5th, 2019 from 16:00. Tuesday, May 7th, 2019 from 18:00 to 20:00. Wednesday, May 8th, 2019 from 09:00 to 18:00. From 11th to 12th May 2019, Saturday and Sunday. Sunday, May 12th, 2019 from 06:00 to 16:00. Tuesday, May 14th, 2019 from 20:30. Tuesday, May 14th, 2019 from 18:00 to 20:00. Sunday, May 19th, 2019 from 10:00 to 18:00. Wednesday, April 3rd, 2019 from 18:00. Friday, April 5th, 2019 from 18:00. Wednesday, May 22th, 2019 from 18:00. Saturday, May 25th, 2019 from 20:30. From 25th to 26th May 2019, Saturday and Sunday. Sunday, May 26th, 2019 from 09:30 to 17:30. From 30th May to 1st June 2019, Thursday, Friday and Saturday. Thursday, June 6th, 2019 from 10:00 to 11:00. Thursday, June 13th, 2019 from 10:00 to 11:00. Thursday, June 20th, 2019 from 10:00 to 11:00. Cette bourse annuelle se déroule de 9h à 18h. Timbre - Cartes postale - Monnaies - Télécartes - Vieux papiers... Entrée 2 € / 10% des ventes d'entrées sont réservées au Téléthon. Sunday, June 9th, 2019 from 07:30. Friday, June 14th, 2019 from 20:30. Saturday, June 15th, 2019 from 18:30. Sunday, June 16th, 2019 from 06:30 to 18:00. Sunday, June 16th, 2019 from 07:00 to 18:00. From 21th to 28th June 2019 daily from 10:00 to 12:00 and from 15:00 to 18:00. From 2nd July to 11th August 2019 daily. From 17th to 22th September 2019 daily except Monday. Friday, July 5th, 2019 from 17:00. Friday, July 26th, 2019 from 17:00. From 5th to 22th July 2019 daily. Wednesday, July 10th, 2019 from 14:30. Friday, August 2nd, 2019 from 17:00. From 13th to 21th July 2019 daily. Thursday, July 18th, 2019 from 10:00 to 13:30. Thursday, August 8th, 2019 from 10:00 to 13:30. From 20th to 21th July 2019, Saturday and Sunday from 08:00 to 18:00. Thursday, July 25th, 2019 from 10:30. Friday, August 23th, 2019 from 17:00. From 27th July to 1st August 2019 daily except Friday from 10:00 to 18:00 and . From 3rd to 8th August 2019 daily except Friday from 14:30 to 18:30 and . From 5th to 9th August 2019, Monday, Tuesday, Wednesday, Thursday and Friday from 10:00 to 13:00. From 10th to 15th August 2019 daily except Friday from 10:00 to 12:00, from 14:30 to 18:00 and . From 10th to 18th August 2019 daily. Saturday, August 10th, 2019 from 17:00 to 23:40. Sunday, August 18th, 2019 from 09:00 to 18:30. From 23th to 29th August 2019 daily from 10:00 to 18:00. Exposition organisée par la société mycologique du Val de Gray. Vous pouvez apporter vos récoltes éventuelles pour identifications. From 9th September to 13th October 2019 daily. From 14th to 15th September 2019, Saturday and Sunday. From 21th to 22th September 2019, Saturday and Sunday. Course à pied (10 et 21 km) courses des jeunes le matin. Départ parking Champion (route de Besançon)- inscriptions préalables obligatoires (dossier à retirer au service animation de la ville, BIJ ou auprès du président de l'association). From 26th to 29th September 2019, Thursday, Friday, Saturday and Sunday. From 12th to 13th October 2019, Saturday and Sunday.